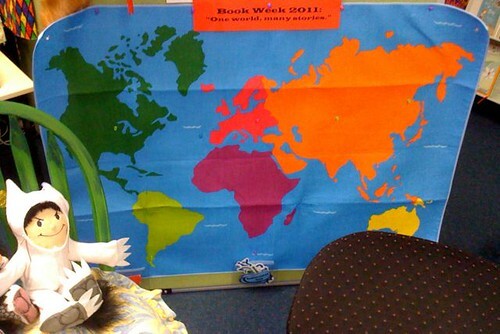 Teacher-librarians had been mentioning that Aldi supermarkets were stocking a large, exclusive, felt map of the world, which might prove useful to decorate the library for Book Week (this year’s theme being, “One world, many stories”). I checked out my local Aldi today and, sure enough, there it was. It comes with 100 small felt pieces to attach to the map: iconic buildings, animals, birds, people, products, rivers – and labels for the oceans and continents. Looks great! 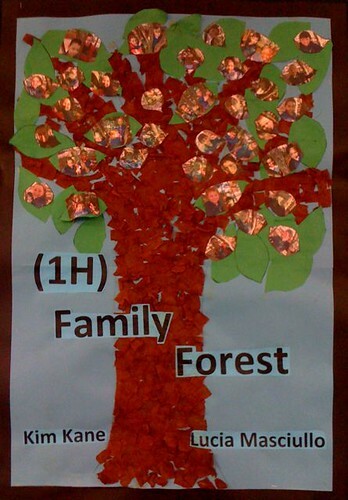 Congratulations to Class 1H for creating this beautiful display for the library on the picture book, “Family forest”! This and other class displays are in my Flickr slideshow. This entry was posted in library environment, news, Stage 1 and tagged Book Week, displays, maps. Bookmark the permalink.